After a five-star run at the off-West End Donmar Wharehouse, Lynn Nottage's Pulitzer Prize-winning play, Sweat heads to the Gielgud for a strictly limited 50 performance run this June. Branded as a "breathtaking new play" (Guardian) Sweat dives into the heart of forgotten middle America and the communities that were left behind. After almost 35 years at its original home at the Queen's Theatre, the iconic Les Miserables is on the move... but don't fret, Cosette, it's not going very far! In this new semi-staged concert performance, the creme de la creme of the West End stage will head to the iconic musical. 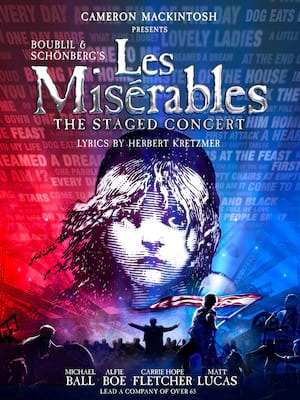 Don't miss the likes of Alfie Boe, Michael Ball, Carrie Hope Fletcher and Matt Lucas as they give you all the Les Mis goosebumps! 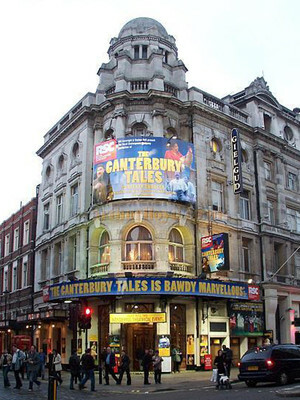 Located on Shaftesbury Avenue, The Gielgud Theatre is a West End theatre which was designed by W.G.R Sprague and first opened in 1906 as the Hicks Theatre, after Seymour Hicks. In 1909, Charles Frohman took over the management of the theatre and it was named the Globe Theatre for 85 years. In 1994 it was renamed the Gielgud Theatre in honour of John Gielgud, as the Shakespeare's Globe was being constructed on the South Bank. Since 2006, Delfont Mackintosh Theatre have operated the Gielgud. Please note: The term Gielgud Theatre as well as all associated graphics, logos, and/or other trademarks, tradenames or copyrights are the property of the Gielgud Theatre and are used herein for factual descriptive purposes only. We are in no way associated with or authorized by the Gielgud Theatre and neither that entity nor any of its affiliates have licensed or endorsed us to sell tickets, goods and or services in conjunction with their events.